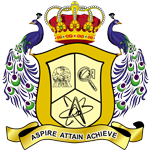 AAA Engineering College is located in Amathur Village (sivakasi taluk), 8km from Virudhunagar Railway Junction. Regular Bus services on Virudhunagar, Sivakasi Highway. Economical mode of transport to reach AAA Engineering College is through any city/town bus from Sivakasi bound to Virudhunagar (or) from Virudhunagr bound to sivakasi will take you to the college campus. The journey time from Virudhunagar will be around 20 minutes and from Sivakasi it will be around 30 minutes. The executive way of reaching AAA Engineering College is by hiring a taxi. Taxis fare will be around Rs.400/- from Virudhunagar/ Sivakasi. College is connected by road to Chennai (510 km), Madurai (60 km) and to all major towns in South India by regular bus services. It connects Chennai, Madurai, Tuticorin, Tirunelveli, Bangalore, Coimbatore, Quilon, Courtallam, and Kodaikanal. It is just 40 Kms away from Madurai International airport, and is connected with Chennai (Madras), Singapore, Colmbo. Daily 8 flights, connects Madurai to Chennai round the week.